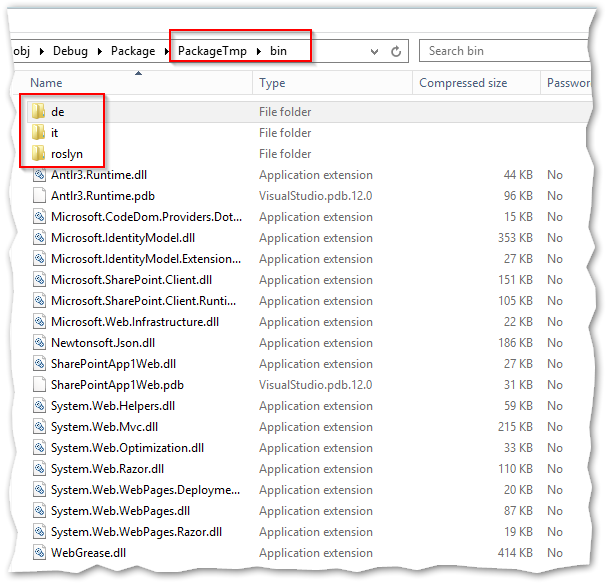 If you create an MSDeploy package for a SharePoint or O365 AddIn (a.k.a App) in a team build the package does not include all files (like i.e. language resources). 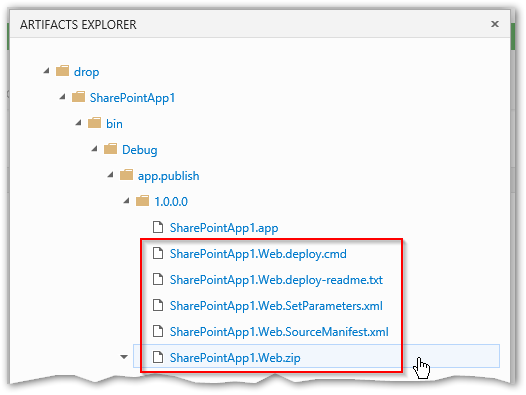 This seems to be a bug in MSDeploy. If you build the app only with /p:Ispackaging=True everything works fine. You get a web package inside the app.publish folder that contains all files. If you work with multiple Publishing Profiles and specify an explicit profile strange things happen. You still get the package but if you look inside the package the folders are missing. If you can switch back to only using /P:IsPublishing=True your good. If not you have to look for the correct package. 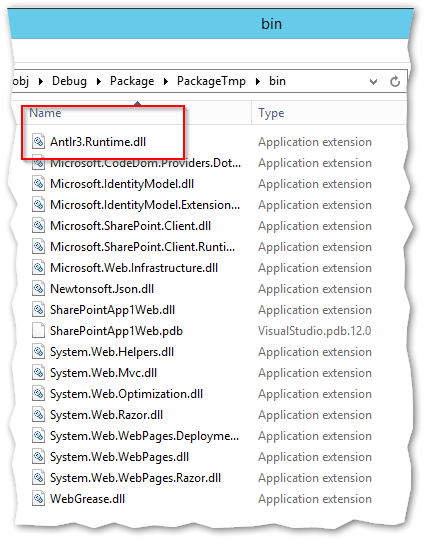 If you use Build.VNext the package is in the source folder of your web project. 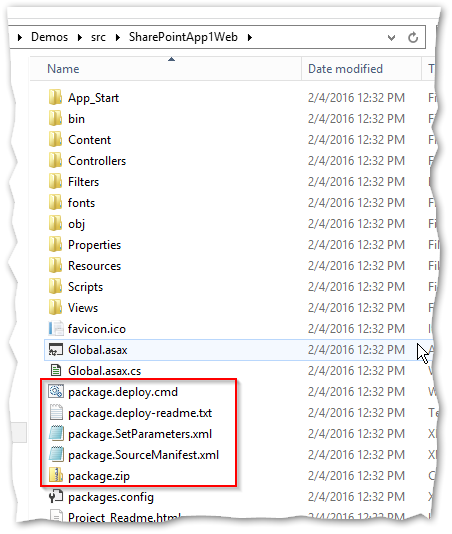 You can use a copy file task to copy it to the staging directory before publishing your build artifacts. 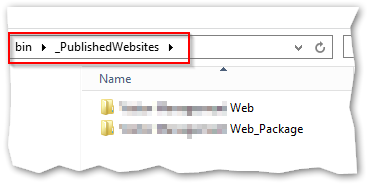 If you use the classic XAML Builds you have to look for a _PublishedWebsites folder in your output (Binaries) directory. I hope this helps. This fooled me in some projects yet. Write-Verbose "Start to install app $appName..."
Write-Error "Cannot find product Id of app $appName." Write-Error "App installation failed. To check app details, go to '$($web.Url.TrimEnd('/'))/_layouts/15/AppMonitoringDetails.aspx?AppInstanceId=$($appInstance.Id)'." I also have scripts to trust the app using ie Automation. If your intrested, then let me know. But ie automation is pretty fragile. It’s to easy to get it running.